Our Approach | Nimble. Design Co. — Nimble. Design Co. Your investment in Nimble. is two-fold—a connected design resource and a dedicated right hand. Through a team approach to the design process, we challenge the market norm and work as a unit to deliver brand experiences rooted in story. Our process is honest, collective, and ever-evolving with the needs of the project. We believe that effective design is yielded from equal parts strategic thinking and collaboration, and we work hard to challenge and care for every detail that comes out of our studio. 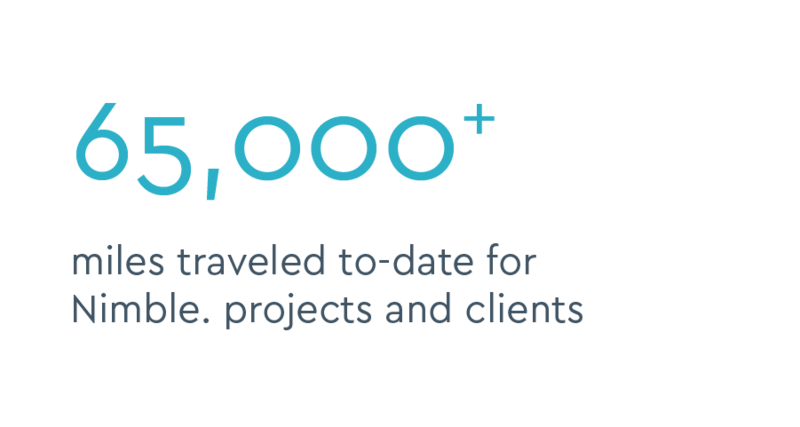 We partner directly with developers, asset managers, restaurateurs, and extended leasing and marketing teams, bringing a steady voice and persistent right hand to every new engagement. Above all, we pride ourselves in sustaining long-term partnerships with our clients. Partnerships built on transparent communication, a nimble approach, and strategic solutions. We meet you where you are and work as an extension of your team, to transform perception, elevate awareness, and move the needle.